Reports from the Board of Directors and the CEO highlighted the success of a new, major events program; the launch of a multi-year winter strategy; campaigns targeting new markets like LGBT travel, culinary tourism, and Indigenous offerings for authentic culture seekers; and the Society’s work in positioning Kelowna as a certified sustainable tourism destination. It was also noted that the Society’s overall organizational excellence has once again been recognized with international certification through the Destination Marketing Accreditation Program, demonstrating adherence to stringent industry standards. Other highlights included the tremendous community support and visitor engagement generated by the new Visitor Centre, which was opened on time and under budget. Thom Killingsworth, Chair of the Tourism Kelowna Board of Directors, announced that since opening in June, the new Visitor Centre has welcomed 108,000 individuals, surpassing in just six months the original goal of serving 100,000 visitors annually. 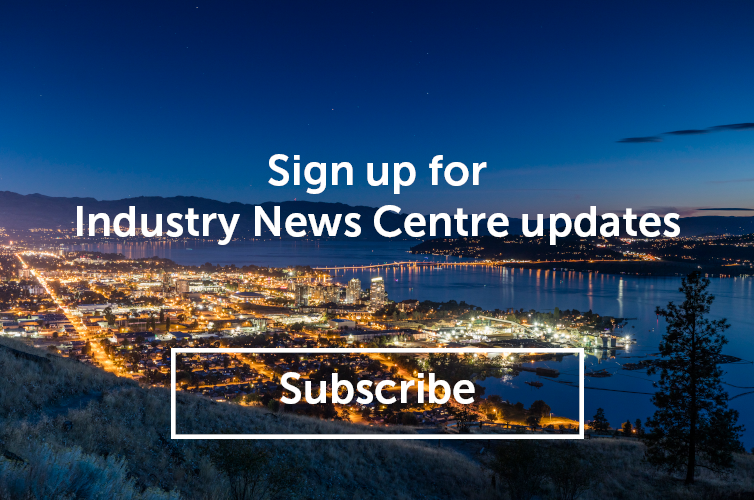 The past twelve months have been pivotal for the tourism industry in Kelowna and its neighbouring communities. A strong start to the year saw hotel occupancy levels at all-time highs. While weather-related challenges brought overnight visitation down in the summer season, occupancy remained up 1.3 points year over year. Click here to download Tourism Kelowna&apos;s 2017-2018 Report to the Community. A four-season outdoor playground, Kelowna attracts almost 2 million visitors annually who in turn generate $337 million in local spending. A vital economic driver for the region, Kelowna’s tourism industry provides 12,000 jobs, $142 million in tax revenue, and generates $1.25 billion in total economic output annually. For more information, contact Jennifer Widmer, Travel Media & Communication, at (250) 861-1515 ext 204 or jennifer.widmer@tourismkelowna.com.